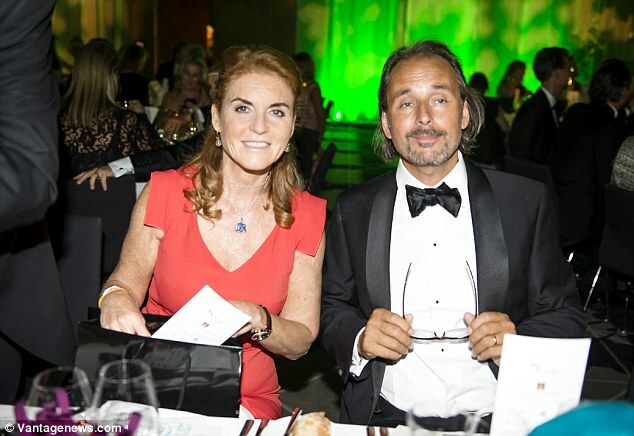 Daily Mail - Mail online is one of many news channels that are trumpeting the words from the Elephant Ball in Gothenburg, Sweden. And is thereby spreading the awareness around the extinction of Asian & Afrikan elephants. 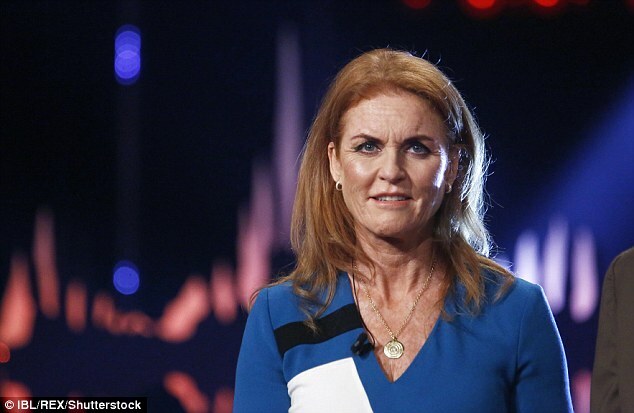 She recently admitted that she worked as a toilet cleaner before marrying into the royal family. 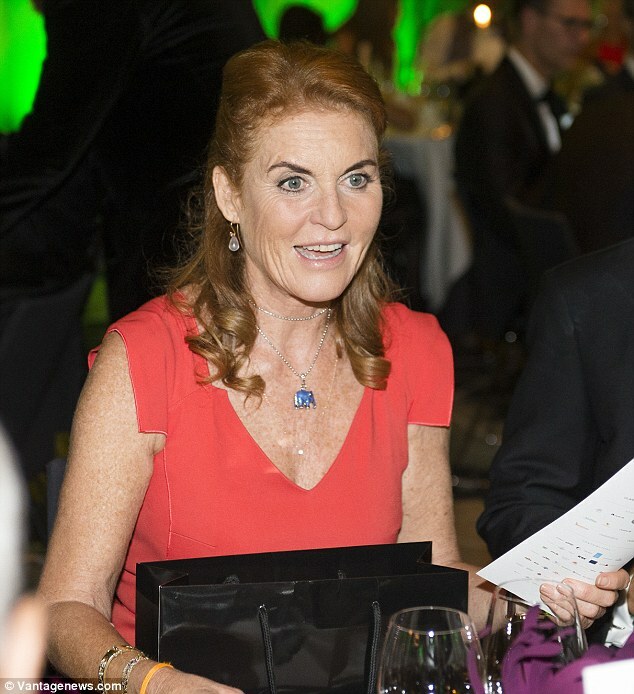 But the Duchess of York looked a long way from her roots as she put on a glamorous display at a glitzy charity ball on Thursday night. 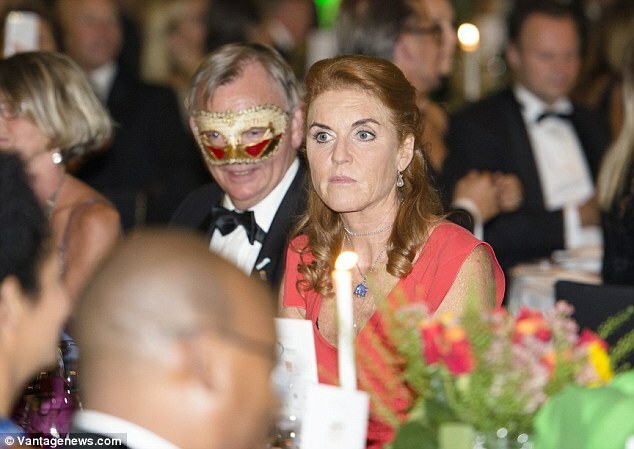 Sarah, 56, stunned in a bright red gown as she joined guests at the Elephant Ball 2016 at the Clarion Hotel Post in Gothenburg, Sweden. 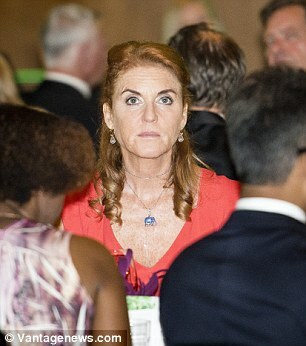 Fergie was certainly dressed to impressed and offset her scarlet gown with some eye-catching jewels - including a rather fitting blue necklace with an elephant on. The Elephant Ball is a charity gala dinner that raises awareness and funds to protect wildlife with a portion of proceeds donated to Elephant Family – an NGO dedicated to protecting the Asian elephant. 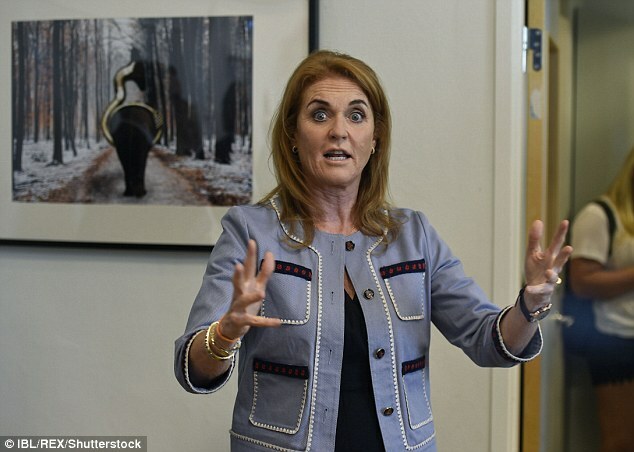 Fergie is passionate about charitable causes and like a lot of the royal family, she lends her time to wildlife charities. The mother-of-two shunned the wine and stuck to water as she laughed and joked with her fellow guests, many of whom wore novelty elephant masks. 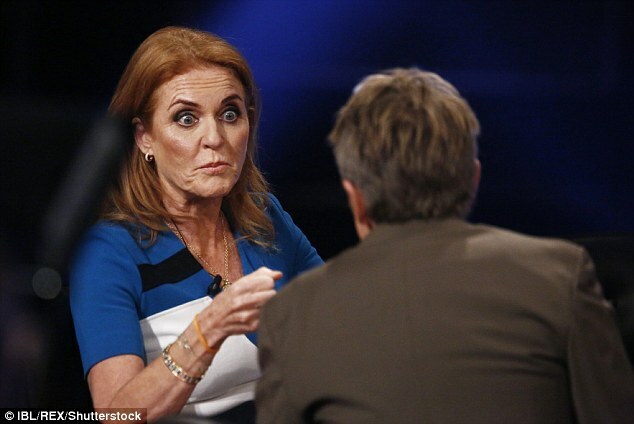 Earlier in the day, speaking on the Skavlan TV show, in Stockholm, Sweden, the 56-year-old made a shocking revelation - admitting that she used to clean lavatories. 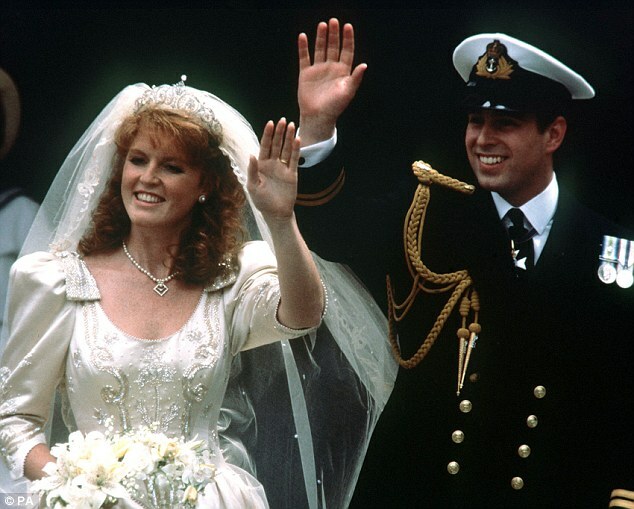 Sarah Ferguson married Prince Andrew, who she met a firework display age 12, on July 23 1986 at Westminster Abbey. 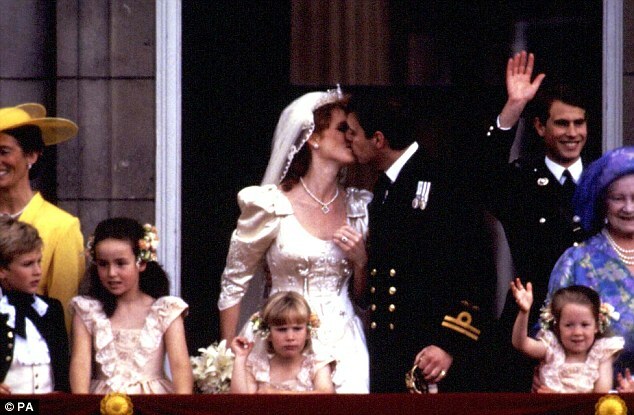 They divorced 20 years ago but have remained firm friends and have two daughters, Princess Eugenie and Princess Beatrice, together. Fergie has made the leap from royal icon to health guru by launching a range of juicers - and now it seems that a presenting job could be on the cards for her. 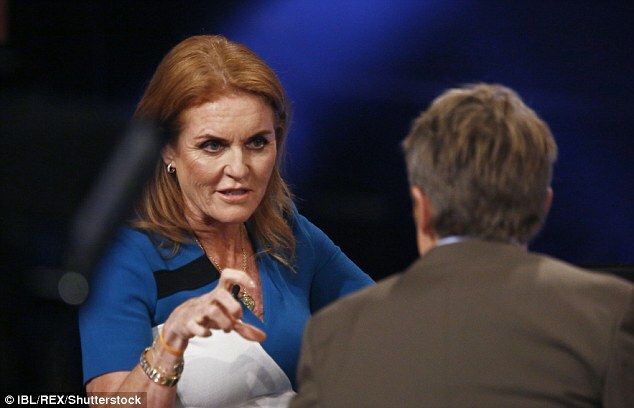 The Duchess of York, who has already tried her hand at TV presenting on QVC, certainly looked the part as she made her debut on a Swedish talk show on Wednesday night. 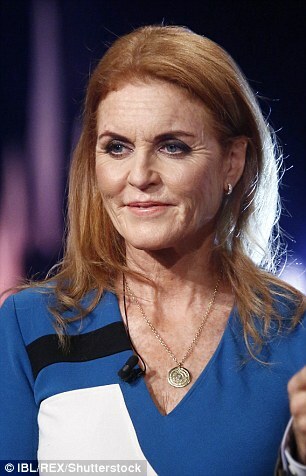 Sarah, 56, proudly displayed her trim new figure in a blue, white and black colour block dress as she joined hosts to discuss the plight of endangered elephants on the show. 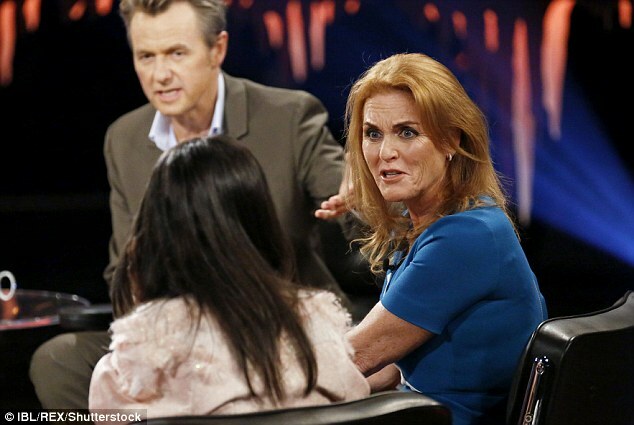 The Duchess was a guest on Swedish TV show Skavlan to talk about the plight of endangered elephant species, speaking about non-profit organisation's The Perfect World Foundation's upcoming fundraising gala, The Elephant Ball. She laughed and joked with the presenters and worked the crowds as she chatted away, displaying a range of animated facial expressions. 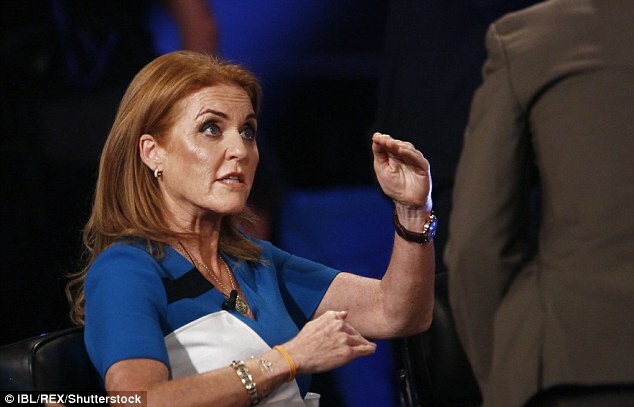 Last summer, the Duchess made headlines after appearing on US TV to plug a blender while thanking Americans for 'giving me my confidence back'. After completing a live demonstration of how to make a breakfast smoothie containing lemon peel, cayenne pepper, ginger and pineapple, she revealed that she used the drinks to get back in shape after 'ballooning up' in weight. 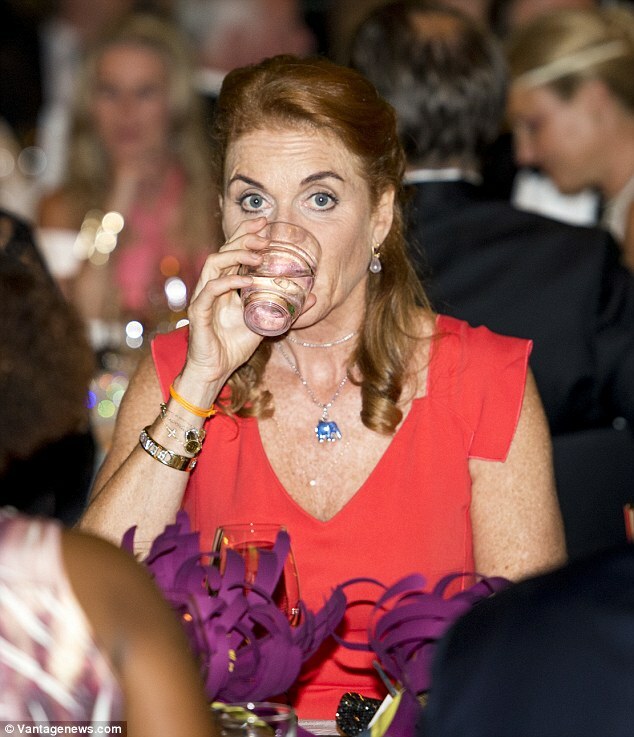 Later, Fergie, who says that she makes the drinks herself at home and doesn't have a chef, said that before resorting to juicing she had tried extreme liquid diets. 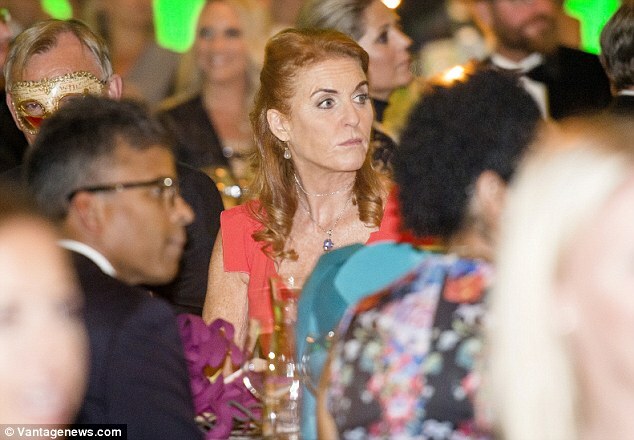 Earlier this week, the globe-trotting mother-of-two joined her daughter, Princess Beatrice, at a high-profile charity event in New York. The pair attended the Annual Charity Day hosted by Cantor Fitzgerald, BGC and GFI where they both looked stylish and summery as temperatures hit a balmy 23 degrees. Beatrice opted for a stripey blouse and showed off her pins in a high-waisted navy skater skirt. She added a pair of berry-coloured pointed courts, and kept her hair and make-up natural with her red tresses swept into a loose wide-parting. Fergie, 56, kept it casual in ballet pumps, wearing a plunging black dress with an asymmetrical hemline - adding a brown leather belt to add shape. 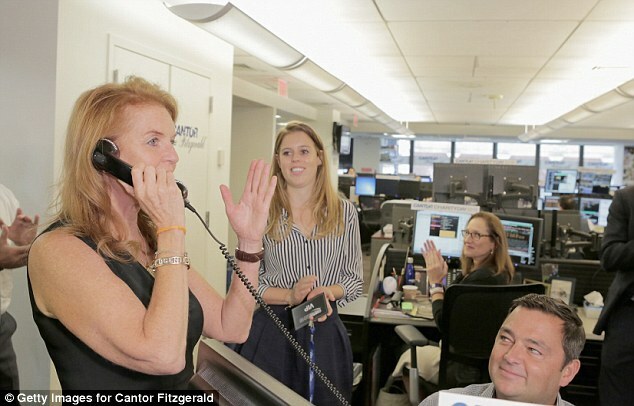 The Annual Charity Day was set up to raise money for the Cantor Fitzgerald Relief Fund, which was set up by the financial services firm and supports victims of terrorism, emergencies and natural disasters. In the September 2011 World Trade Center attacks, 658 Cantor Fitzgerald friends and colleagues and 61 Eurobrokers employees were killed. Last year, the event saw Fergie and her daughters pose for an unlikely photograph with American rapper 50 Cent - however Eugenie, 27, was nowhere to be seen this year. Other prominent guests this year included the current Miss Universe Pia Alonzo Wurtzbach, Lily Aldridge, Michael J Fox and Allan Houston.